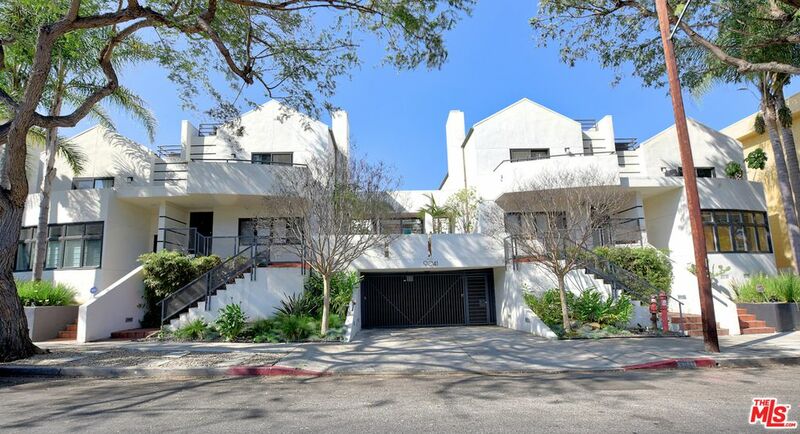 A luxury 3 level townhouse on a quiet, tree lined street, 1/2 block from Beverly Hills. This sophisticated TH is perfectly located in trendy Norma Triangle. This 2BR/2.5BA boasts a chic and airy living room with fireplace, dining area & parquet floor A well appointed kitchen with granite countertops & SS appliances flows into an inviting dining room & patio with folding windows. Enjoy tranquil, private, sunny patio, perfect for entertaining, or just a quiet time. 2nd level master BRfeatures vaulted ceilings, walk in closet & en-suite BA with jet spa & separate shower. 2nd BR features an inviting balcony with great view of Hollywd Hills. In 2nd BA, shower with view of the hills. Lounge on 3rd level rooftop, private sundeck. 2 side-by-side parking, has very convenient direct access to the kitchen. Short walk to grocery stores, restaurants, cafes on Sunset, SAMO Blvd & Robertson/ Melrose Design District. Unique, impeccably maintained property in prime WEHO/BH location! Won’t last long!